Flexible and open models are changing the way colleges and universities approach content ownership. In this age of MOOCs, flipped classrooms, and lecture capture, faculty are creating more course content than ever. Yet those who simply assume they own the rights to that content may be in for a rude awakening. In the experience of Cable Green, director of global learning at Creative Commons, faculty members often own no rights to the content they've created. "Essentially, they're work for hire," he says. This story appears in the October 2013 digital edition of Campus Technology. Click here for a free subscription to the magazine. Many institutions have established guidelines for content copyright that mirror practices around patents or scientific breakthroughs, explains Larry Johnson, chief executive officer at the New Media Consortium. If a professor creates content using school resources, then the school shares or owns outright the copyright, similar to the way it expects to share in financial gains from its researchers' scientific breakthroughs and patents. Professors will get credit for the course or the breakthrough, but the institution also profits. "In many cases, if a professor wants to maintain rights to online content," Johnson adds, "they have to work it out with their employer." How easy it is to "work out" intellectual property rights depends, of course, on the school. For instance, at Penn State's online degree program, World Campus, the school has traditionally held the rights to online course content but granted professors the permission to use that content. "I can't think of any time when a professor has not been allowed to use course material for their courses or their research, as well as for promotion and tenure," notes Karen Pollack, director of academic affairs and undergraduate programs. In fact, in 2012 Penn State formalized this practice as part of a broader assessment of intellectual property policies. The aim, Pollack says, was "to become more innovative and entrepreneurial about how intellectual property is handled." As a result, course content now belongs to the faculty members who create it. This means that faculty who develop an online World Campus course can use that content for other purposes: their bricks-and-mortar courses, academic writings, or even in courses they teach at other schools. 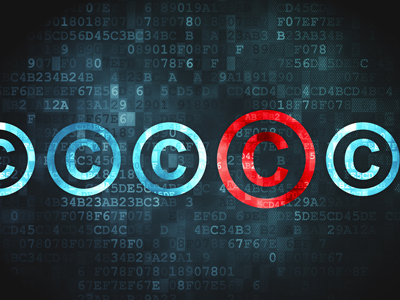 A flexible approach to copyright ownership may become increasingly important in light of emerging MOOC models, in which schools partner with third-party providers to craft content for massive open online courses. For example, faculty at San Jose State University (CA) worked closely with Udacity to develop courses for a MOOC pilot this past year. "Because Udacity is responsible for the technology and videos for MOOC courses, and sometimes provides input on how to translate course content into the MOOC format, we have joint ownership of MOOC content," says Catheryn Cheal, associate vice president and senior academic technology officer at SJSU. Under this agreement, if Udacity wants to use MOOC content for some reason, it must request permission from the school and the faculty member who together own the content rights. Conversely, the faculty member must request permission from Udacity if he wants to use the material for another purpose. In Cheal's view, this approach makes sense because both parties are contributing to the MOOC. These are early days for MOOCs, however, and MOOC companies are experimenting with business models and certification options that could eventually make these courses lucrative. Cheal admits that SJSU has considered many of the potential uses for MOOCs--such as the chance that Udacity might want to use SJSU content in a course that's developed with and even sold by another school--and still hasn't resolved how such scenarios would be handled. It might be that guidelines about ownership and compensation will have to be fine-tuned as the events arise. As a step toward open-access principles of collaboration, sharing, and innovation, a number of schools are granting faculty members ownership of their course materials and encouraging them to license the content as open educational resources (OER). For example, at MIT, which makes virtually all course content available for free on the web via OpenCourseWare, faculty own the content, says Stephen Carson, the initiative's external relations director. "They provide us a license to publish the content on our site, and attach to it a sublicense for our end users that's a Creative Commons license." MIT also stipulates that the content can't be used for financial gain, Carson notes. Green sees a growing number of schools contributing to OER "in their own time." The University of Maryland, for example, is currently reviewing 2,000 courses with an eye toward dumping the commercial content and replacing it with openly licensed content. If it does so, UM would join a list of more than 250 schools that make up the OpenCourseWare Consortium, including MIT, the University of California, Irvine, and Tufts (MA). The Creative Commons open license, which allows content to be placed into the public domain immediately, has become the global default for OER. "This is helpful," Green says, "because [otherwise] if you want to get something in the public domain in the US, you have to die first and wait 70 years." He believes Creative Commons licenses provide the best of both worlds: "License holders retain the copyright and they share content under the terms and conditions they choose." Carson points out that a Creative Commons license doesn't necessarily preclude faculty members from entering into agreements where their content will be used for commercial purposes. According to Carson, one MIT professor received a request for use of his content by a helicopter manufacturer. He simply gave the company a separate license to that content. On the flip side, Carson adds, Creative Commons licenses enable faculty to say, "I don't want to manage these rights." Ultimately, institutions and faculty are beginning to see open access as part of their central mission, says Green. "It's fundamentally about educating: sharing as openly as possible the knowledge and data and research from that university." "I want their general curriculum to all be open content; I don't want them to buy any textbooks. Spanish 101 is Spanish 101. It's okay to share curriculum that's this common. "The best faculty won't be standing up lecturing. It's going to be seminars, it's going to be problem-based learning, it's going to be writing teachers over their shoulders helping push them and debate with them about structuring an argument. No PowerPoint presentations. And my students are responsible for making that course better. Instructors get it to the best possible place and ask the students to improve on it. For next Tuesday."